The rules of the recruitment marketing game are constantly evolving. For instance, currently 73% of candidates searching for a job turn to their social media first, when just a few years ago, social media was still relatively “new” in the eyes of recruitment marketers. And with new rules come new methods, making it vital to stay on top of the current trends in recruitment marketing. Read on to learn what new recruitment marketing trends are evolving, what trends are coming back, and what methods you should consider utilizing today. Analytics is a powerful resource that every recruiter should be using by now. While this is common knowledge, the way recruiters are going about acquiring and organizing this data is evolving. It’s about moving from a data-driven approach, where decisions are being made after data is reviewed, to a data-centric approach, where decisions are being automated in real-time using data. When it comes to recruiting the best talent available, it's all about getting your job in front of the right people. So, whether you need better candidates for your hard-to-fill jobs or more volume to build your pipeline, the improved version programmatic job advertising (what we’re calling Programmatic 2.0) allows you to target ideal candidates on a pay-per-click (PPC) or pay-per-application (PPA) model through an extensive network of partner websites and control your budget at the most granular level to get the best ROI. Inbound recruiting switches the focus from only seeking out new talent when a position is open and instead works to create a brand and image that makes people want to work for you. One of the primary differences here is that inbound recruiting is a continuous effort and a gradual process of gaining trust and building relationships. So when a position does open, there is already talent waiting for the opportunity. Social recruiting is the act of utilizing social media outlets as a way to source and engage with talent. 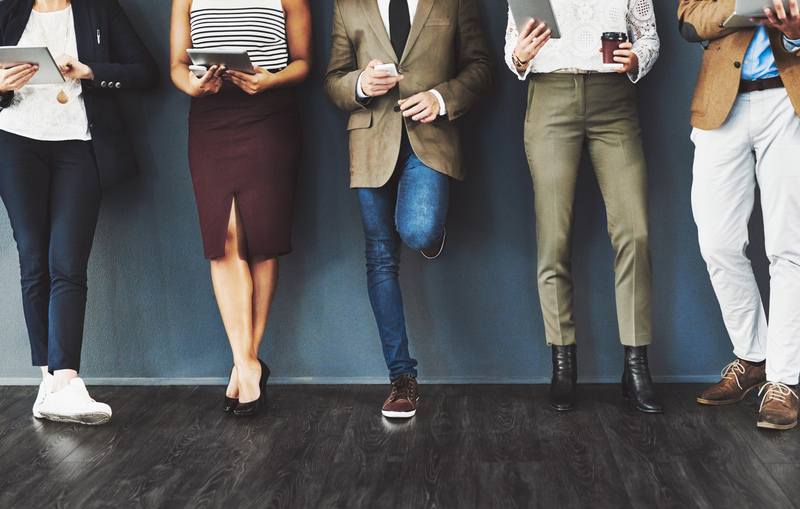 Social media recruitment isn’t new, but it’s definitely increasing and gaining a foothold in the talent attraction space. LinkedIn has become a powerful tool for recruiters, as well as websites and blogs, but there are many great social media tools out there to consider in your recruitment marketing strategy. As many already know, having a strong employer brand can make it easier to attract new potential employees. An applicant is much more likely to apply to a company that they know is aligned with their character and ideals than simply a logo and a job description. Like inbound marketing, this does mean consistent effort on the part of the employer, but it also increases the chances of attracting the right kind of applicant. This year we expect to see a surge in employer branding projects as brands need to stand out among the competition. To add to the previous trend, sometimes it’s not enough just to have an employer brand define. You may need to get the word out about your employer brand. This is where employer brand awareness advertising comes in. Employer brand awareness advertising is simply about building awareness of your organization as an employer. This type of strategy often doesn’t include a specific call-to-action which can make it harder to track and measure, but it can still be impactful as a complement to your other recruitment marketing strategies. Plus, stronger employer brands often see improved apply conversion rates and lower cost-per-hires across the board! Each year we see an increase in the number of people that choose their mobile device as their first source of internet access. Unfortunately, many recruiters still forget this while seeking out talent. This means job posting and ads are typically found in ways that aren't "mobile" friendly. It’s about more than just having a mobile-optimized careers site nowadays, which has become the norm. Make sure candidates can easily find and apply to a job from their mobile device from any job listing or advertising you have out there. This means ensuring your ATS (applicant tracking system) is mobile-optimized, too! As the recruitment space becomes more focused on automation, we will continue to see more artificial intelligence (AI) and machine learning play a role. A great example of this is in recruitment for marketplace and gig economy organizations where a constant flow of applicants is needed, like Uber, Shipt, Instacart and more. Not every candidate is desperate to find a job. In fact, many are simply seeing what their options are. Often, these are the best candidates for the position, despite their more "passive" attitude towards searching for a job. So, it’s critical to incorporate candidate sourcing in your strategy this year to ensure you reach top talent, whether they are actively seeking opportunities or not. Even with many leading brands finding efficiency in programmatic job advertising using PPC and PPA sources, the need for even more exposure to job opportunities can arise. This is where targeted job advertising can be very effective to supplement a programmatic strategy. With targeted advertising, it’s about getting your jobs in front of candidates where they are already engaging online. This might be through email marketing, SMS and text message campaigns, niche job postings and more. With data being easier than ever to source and review, we're also finding an increase in "blind hiring." This is because having end-to-end analytics can help remove biases to create a clearer picture of who has the necessary skill set for a position. Talent pools are making a major comeback as we see an increase in recruiters that are turning to databases to find their job candidates. Talent pools will often be a combination of those that have applied for the job, along with those that may have been referred. If you focus on building a talent pool this year, ensure you have a plan for nurturing and engaging those candidates, as well. In the world of recruiting, having the ability to look ahead is a superpower! This means knowing who would be a strong asset in a certain role, even if that role isn't currently available (or created). Often this will involve a period of courting the candidate (for months, or even years) to make them more inclined to accept the offer when the time comes, and having a Candidate Relationship Management (CRM) platform can help. If you're looking for a productive and expedient source of leads, employee referrals are a great way to start. More often than not, the employee referring the candidate has a strong understanding of the skills and attitude needed for the position. Increase the exposure of your jobs by implementing employee advocacy programs to get more referrals through your network of employees. Collaborative hiring runs off of the assumption that there's strength in numbers. Through this method, recruiters work in unison with other departments to source the best talent for the position. This option allows you to cover every area of the employee, as each department involved will have their own insight and experience to offer. Structured job interviews are basically brief and to the point interviews that focus on key areas rather than having an in-depth discussion with each candidate. This allows recruiters to have more interviews in a shorter period of time. This also creates consistency as every candidate will be analyzed on the same questions and responses. There's been an increase in software development that allows recruiters to automate many processes that were very manual previously, especially when it comes to broadcasting job opportunities on a larger scale and quickly and effectively assessing candidates. Some automation can even sort candidates in order of requirement fulfillment. While recruitment advertising and recruitment marketing agencies have been around for a while, we are seeing a renewed interest in hiring recruitment marketing experts to help support and partner with talent acquisition teams. This allows HR and talent acquisition departments to focus on more revenue generating responsibilities like interviewing and hiring the best talent, rather than spending more than half their day reading through resumes and searching through job boards. Utilizing some of the recruitment marketing trends listed above are a strong starting point in creating a successful recruitment marketing strategy for 2019. Combined with intuition and the right help, you'll be able to find the right talent for any position. If you need assistance in setting your recruitment marketing strategy up for success this year, contact us.